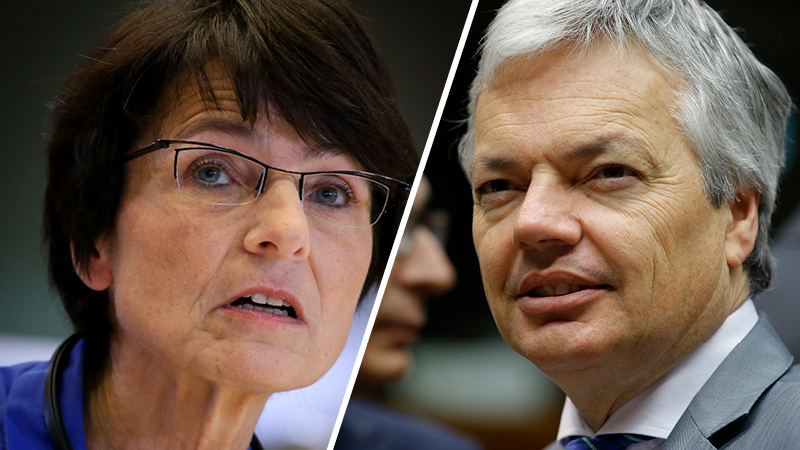 As negotiations to form a new federal government following the 25 May elections are expected to come to fruition soon, the Belgian press reports that two politicians have emerged as possible Belgian commissioners: current caretaker foreign minister Didier Reynders, and MEP Marianne Thyssen. Belgium, Denmark and Cyprus are the countries that haven’t announced their candidate for Commissioner, ahead of an extraordinary summit on 30 August, expected to decide on the filling of top positions in EU institutions. In the case of Belgium, the reason for the delay is the ongoing negotiations to form a government, which traditionally take a lot of time and effort. Following the resignation of the government led by Yves Leterme in 2010, Belgium has set the world record in the longest effort to form a new cabinet (541 days). But now Belgium is getting close to form a centre-right coalition government, in which the parties represented would be the Flemish CD&V (EPP affiliated), the Flemish nationalist NVA (affiliated to the British conservatives’ ECR group), the Flemish liberal Open-VLD, the French-speaking MR (Mouvement Réformateur), also ALDE affiliated. Those absent would be the socialist and the ecology parties both from the Flemish and the Walloon side, as well as the Wallon CDH (EPP-affiliated). As the clock is ticking ahead of the Friday summit, according to the Belgian press, the most likely candidates for commissioners are Didiers Reynders from the MR party and Marianne Thyssen, a politician from CD&V. The current Belgian commissioner is Karel de Gucht, a politician from the Open-VLD. Although there are no strict rules, it should be expected that the next Belgian Commissioner should be from the French-speaking half of the country. The Flemish half of Belgium has also so far represented at EU level by Herman Van Rompuy as Council President (he is from the CD&V party). This at least in theory favours Walloon politician Didier Reynders. But as the future commission is facing a severe gender imbalance, the choice could well be Marianne Thyssen. In that case, the downside would be that her appointment would increase further the number of EPP-affiliated commissioners to 15, which is more than a half of the total. RTBF info: Belgique: Didier Reynders pourrait être le prochain Commissaire europé?